Drop a fashion cherry bomb! 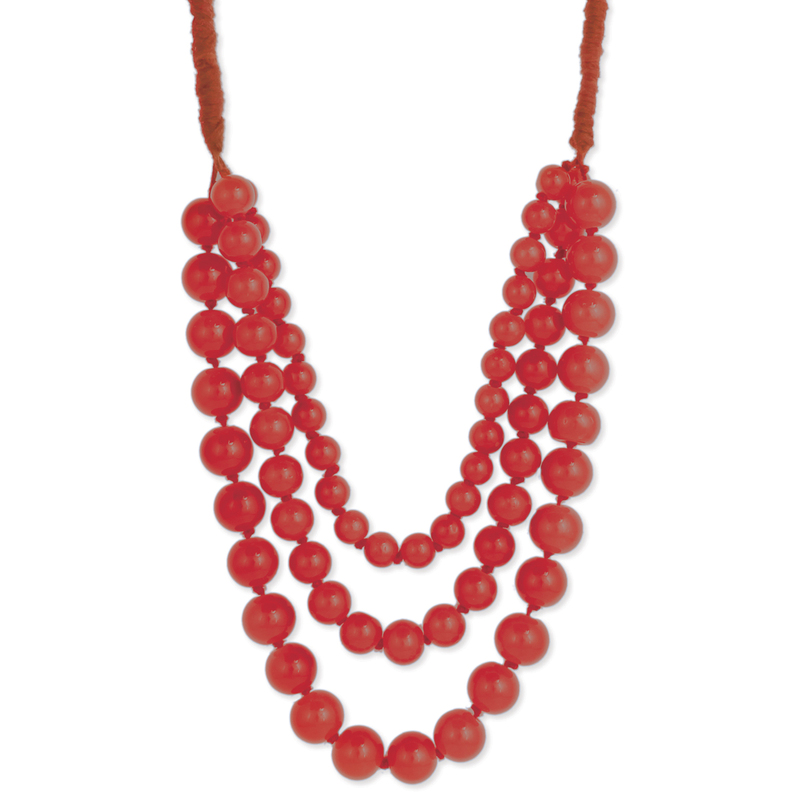 Woven red cord necklace has 3 graduating line of small, medium and large round cherry red bead layers. 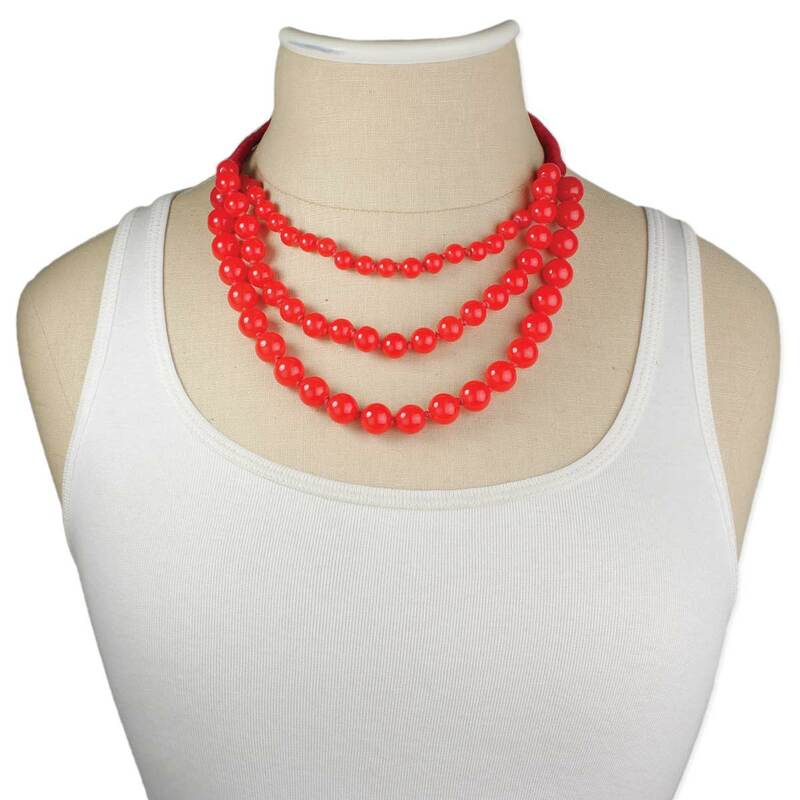 The vibrant red beads in this necklace will have heads turning! • Perfect statement necklace for everyday color!